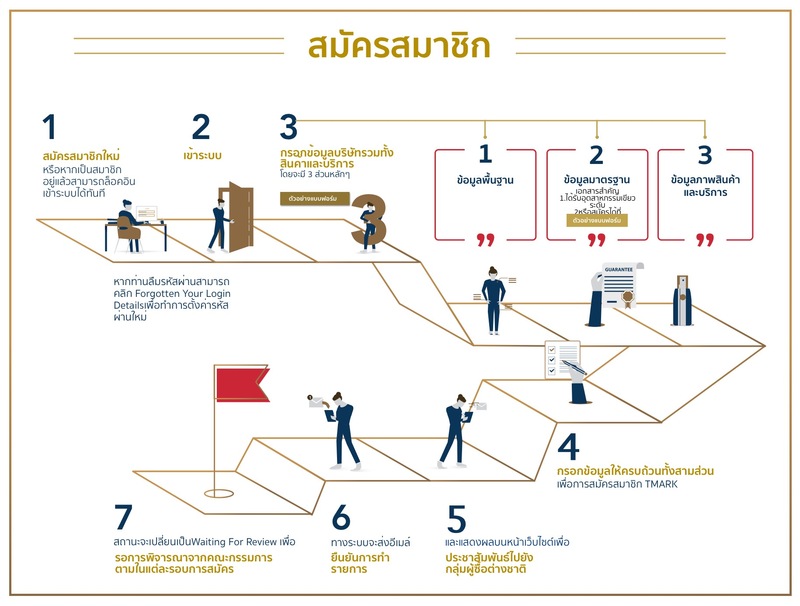 These qualifications are required to register as a Thailand Trust Mark Member. 1. A corporation registered as an export member of the DITP in 5 categories including Exporter Lists (EL), Pre-Exporter (Pre-EL), Trading Company (TDC), Pre- Trading Company (Pre-TDC), and DITP SMEs Club. 6. Export value over the past 5 years must have exceeded 3 million baht on average per annum, or domestic sales value over the past 5 years must have exceeded 5 million baht. Eligbility to incorporate the respected THAILAND TRUST MARK on the products and packaging. Eligibility to receive continuous promotion by the Department of International Trade Promotion through various media, both domestically and internationally. Eligibility to supported in development and capacity building activities such as The development of export market intelligence information, branding, quality/environmental management. Participation in seminars, in-depth training “T Marktraining series”, including Thailand Trust Mark networking activities free of charge. Enhanced brand image and trustworthiness in product quality among Thai and international consumers. Eligibility to receive special priority when selection participants in DITP activities such as overseas in-store promotions with department stores, goodwill trade mission activities. What is Thailand trusk mark? In the marketing world, big words and bold graphics are tossed around to entice customers. However, in the international trade arena where quality is paramount, one needs to be able to look beyond advertising campaigns and find a reliable means to measure merit. No matter how one defines quality, it is always reassuring to have a benchmark that can gauge the essence of excellence. 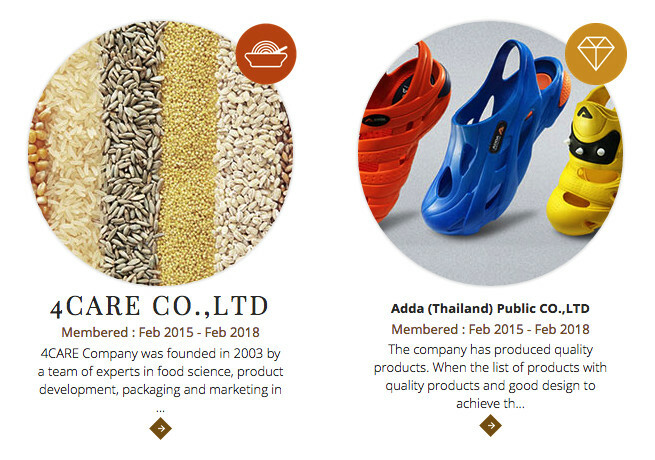 To facilitate this process, Thailand Trust Mark was created under the Royal Thai Government, through the Department of International Trade Promotion, Ministry of Commerce. corporate value i.e. 1. A corporation registered as an export member of the DITP in 5 categories including Exporter Lists (EL), Pre-Exporter (Pre-EL), Trading Company (TDC), Pre-Trading Company (Pre-TDC), and DITP SMEs Club. 6. Export value over the past 5 years must have exceeded 3 million bath on average per annum, or domestic sales value over the past 5 years must have exceeded 5 million bath.